Eons and another job ago, I learned that the SCCE was planning on starting a certification program for compliance people through the Compliance Certification Board (CCB)®. I was skeptical. Why would compliance people want that? Who would bother? I subsequently learned that most every other related profession had a certification. Internal auditors, HR professionals, fraud examiners, risk management and many others all had certification letters after their name. Compliance and ethics professionals: nothing. That was a disadvantage, I learned that in other fields professionals had a way to demonstrate that they truly knew what they were talking about. They had their designation right on their business card. As importantly, certification programs help ensure that individuals in a profession truly understand what the best practices are. Given that compliance was growing like a weed and much of the training was home grown, or just figured out as you went along, it would be helpful if there was a way to ensure that all those people claiming to be compliance and ethics officers truly knew what best practices are. So there was definitely value in having a certification. 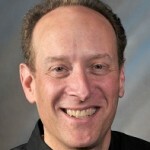 But would compliance people invest both time and money in certification? The answer has proven to be a definitive “yes”. 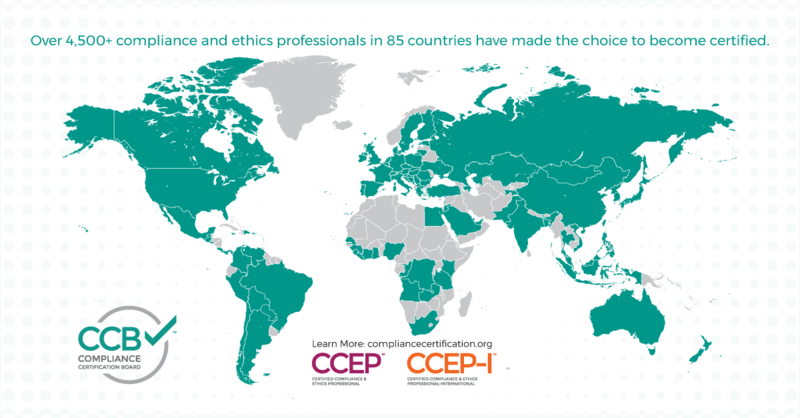 Over 4,500 compliance and ethics professionals in 85 countries have made the choice to become certified. They span the globe from countries large and small, advanced and developing. The SCCE has helped that process by offering more and more Academies outside the US. In 2018 there have been or will be Academies in the United Arab Emirates, Netherlands, Singapore, Brazil and Spain. In 2019 Hong Kong will be added to the list. In 2020 we plan on adding still more. This growing Academy list has helped build out the CCB certification numbers in these countries and the regions that surround them, but what’s extraordinary is that you can find people holding a Certified Compliance and Ethics Professional (CCEP)® or Certified Compliance and Ethics Professional-International (CCEP-I)® in places far from our meetings. There is even a compliance professional with a CCEP-I in Mongolia. One day, in the not too distant future, it’s likely that virtually every country on the map will be shaded green. When that day comes, it will be a great one for compliance, and a humbling (but satisfying) one for me. Proud to be one of the 4500! I’m helping the Association of Healthcare Internal Auditors design an exam for a professional designation. I’m interested in talking with someone about how you developed the academies. Could someone call me to discuss?